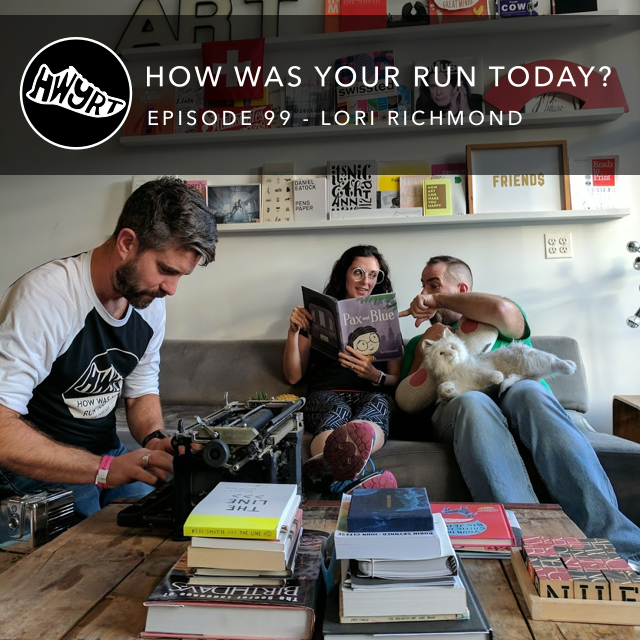 Episode 99 - Lori Richmond — How Was Your Run Today? HWYRT goes on the road to Brooklyn, NY, to meet artist, writer, and runner Lori Richmond. Lori explains about how she went from being an art kid in remedial gym to having her art featured in Runner's World for her #viewfrommyrun project on Instagram. She also talks about her love of running in New York, her lack of joy of cooking, the benefits of creative personal projects, and the parallels between art and running. Peter, Bryan, and Lori also have the spark of a fantastic new idea that may take the art/writing/running/cooking/retail world by storm. Plus, questions for Lori from fantastic human (and former HWYRT guest) Emily Saul.